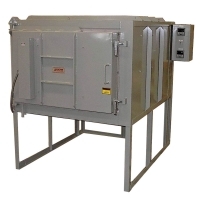 Ontario Ovens Inc. has a full line of industrial and laboratory furnaces designed for a variety of applications including annealing, ageing, tempering, stress relieving and solution heat treating. 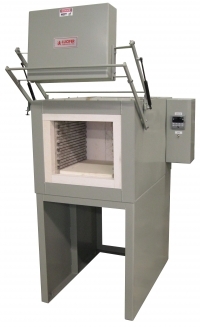 From small bench-top muffle furnaces to vertical drop bottom, we have a furnace to meet your need. 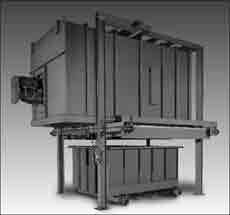 Ontario Ovens Inc. has a full line of industrial box furnaces for use in tempering, drawing, preheat and special applications. Available in bench top or floor models ranging from 1200F to 1800F. GT models can be used with inert atmosphere and feature a gas tight shell. 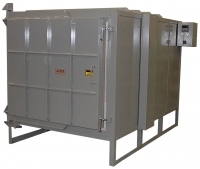 Available in 1200ºF, 1400ºF, 1600ºF and 1800ºF. Alloy fan assembly and stainless steel liner with forced air circulation. Gas-tight models for controlled atmosphere. Available in floor and bench. 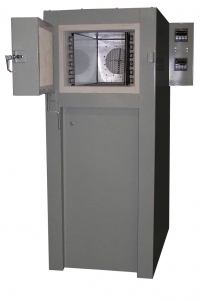 Ontario Ovens Inc. has a full line of industrial furnaces for use in industrial applications like hardening, drawing, preheat and special applications. Available in bench top or floor models ranging from 1800F to 2300F. Complete with digital control, type K thermocouple, door switch and hearth plate. Prewired to N.E.C..
GT models can be used with inert atmosphere and feature a gas tight shell. Available in 1800ºF, 2000ºF and 2300ºF. Gas-tight models for for use with atmosphere. Available in floor and benchtop models up to 24"H x 24" x 48". 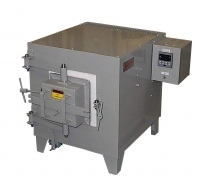 Available in 1200ºF and 2200ºF.